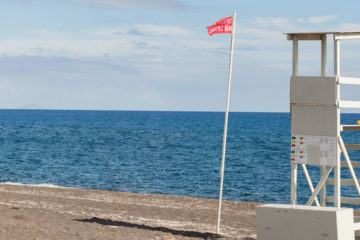 Mesa Pigadia beach (also named Black Beach) is located at the southwestern end of the island near the settlement of Akrotiri and the lighthouse. It is a long beach with black sand, black pebbles and stones, surrounded by high vertical cliffs. 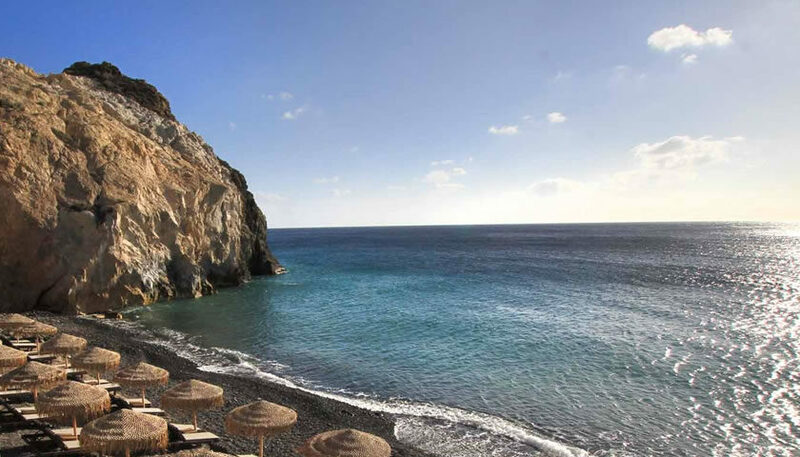 It is a quiet, very picturesque beach with some beach facilities like sunbeds and umbrellas, one beach bar and restaurant (Akro) at the one end of the beach and one tavern (Mesa Pigadia Tavern) at the other. You will enjoy the tranquility of the place and the crystal clear water while you can admire the interesting formations of the white rock. 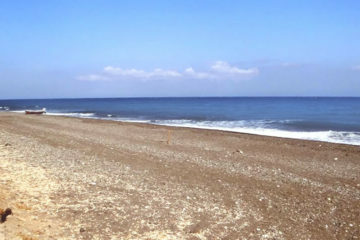 It is accessible by car or by small boats which depart from Akrotiri Beach, close to Akrotiri’s archaeological site. 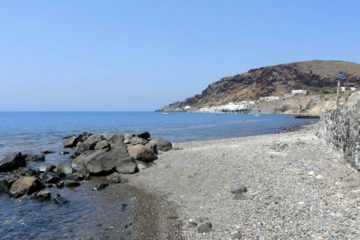 The distance from Fira is about 13km. When you drive from Fira, before entering Akrotiri you have to follow the sign to Mesa Pigadia, after a few kilometers you have to take an unpaved road for about 1km and reach the parking area above the beach. There are also many daily cruises that take you to Mesa Pigadia beach as well as to Red Beach and other beaches of the island.